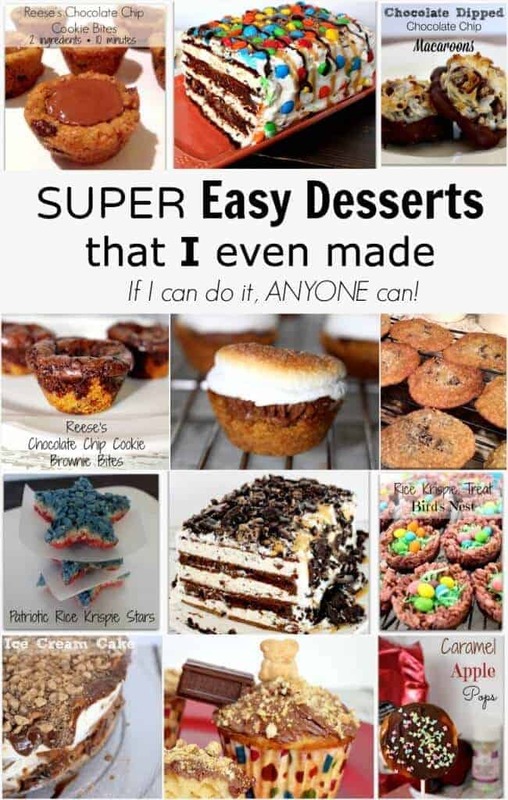 I am totally all about themed food! 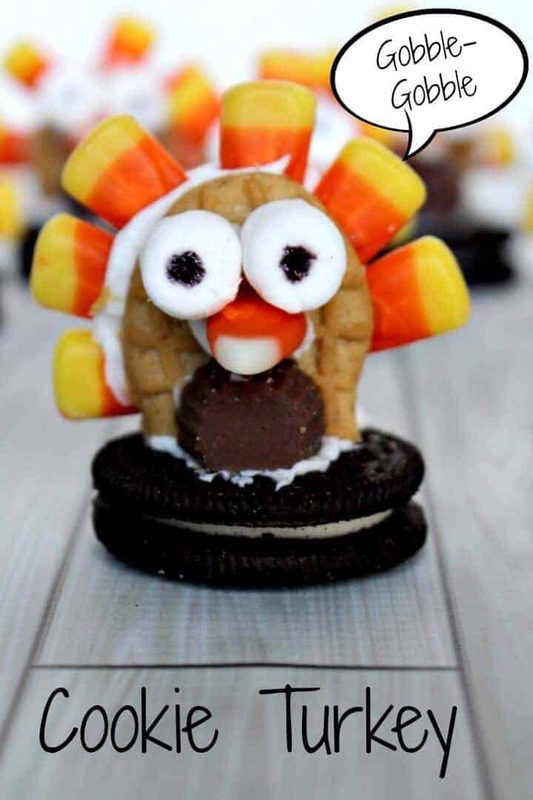 With Thanksgiving coming up quickly, I decided to create some fun Thanksgiving treats! These Thanksgiving cookie turkeys are super fun treats to create with the kids. 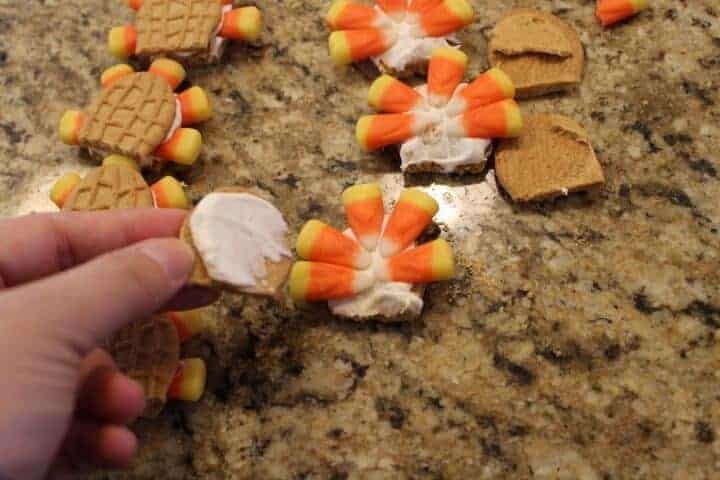 Cut the very bottom of the Reese's off (just enough to make it flat). 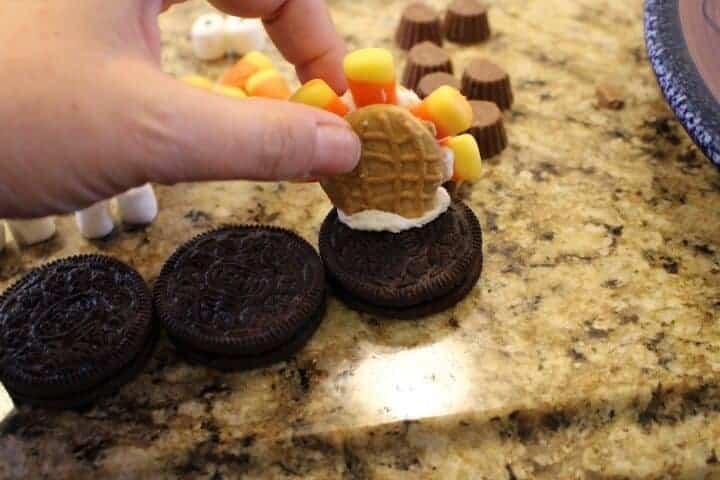 Spread some white frosting on the back and sliced off side of the Reese's and place the sliced off side on the oreo and the back on the Nutter Butter to make the turkey body! 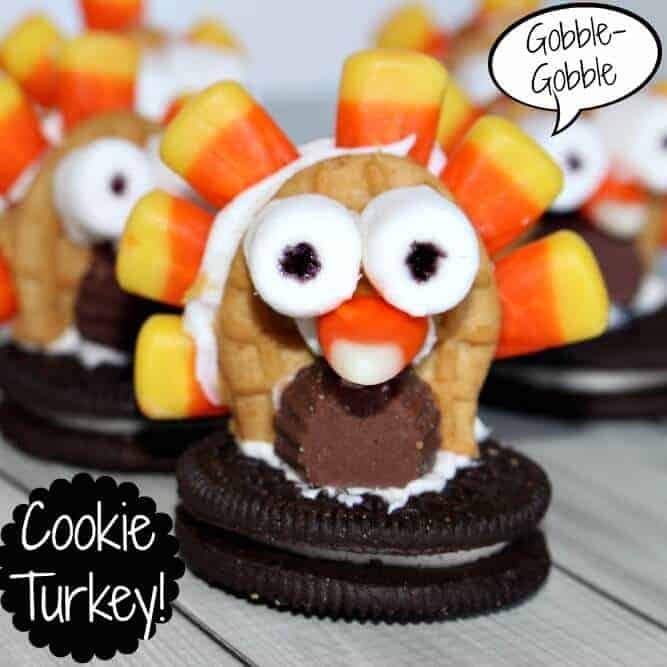 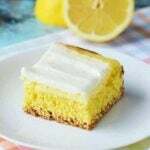 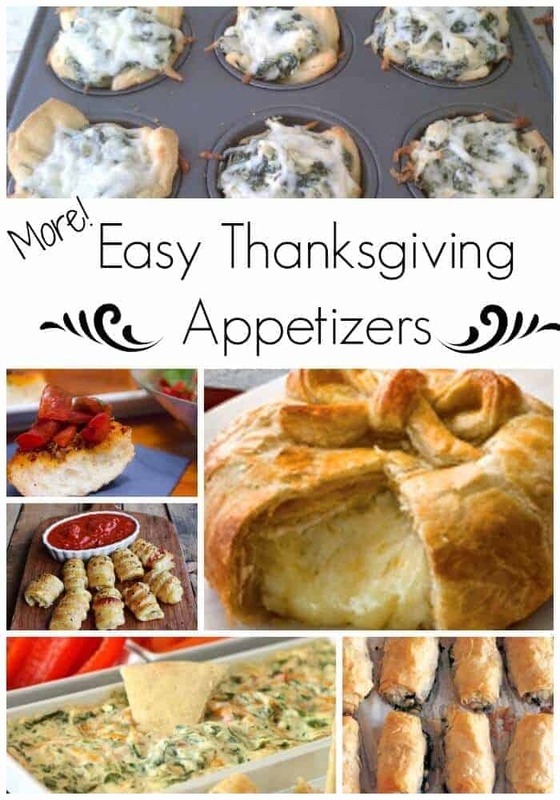 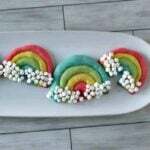 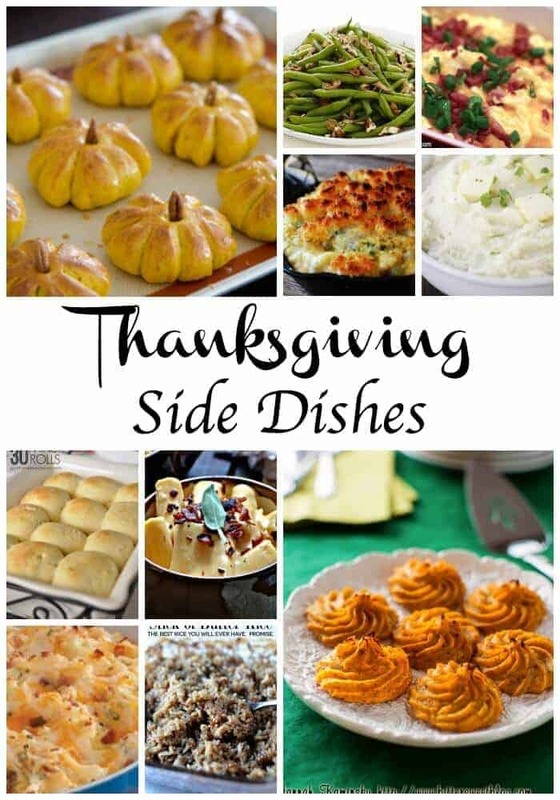 Check out some other fun and easy desserts and Thanksgiving recipes!